There are few people with such vision and foresight. One of these people is Dr Stephen K Klasko. 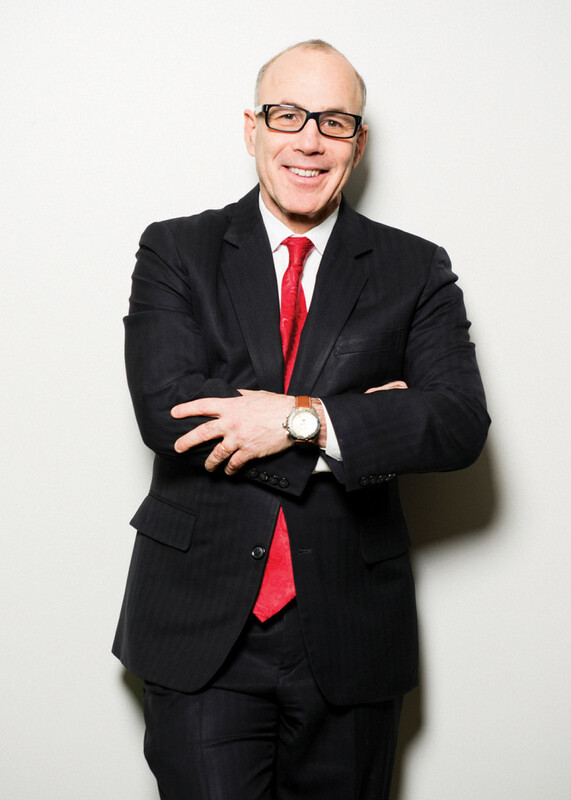 For the leader of an organization with revenues of nearly $5 billion, Dr. Klasko isn’t your typical CEO. Having grown up in South Philly, he brings a certain flair of grit – of taking risks, elbows out, unafraid of getting things done – that only people from a city like Philly can understand. This has taken him through a fascinating path from getting fired as a disc jockey (on his first night) to training as an Ob/Gyn at a community hospital in suburban Philadelphia (which traditional wisdom dictates could have limited anyone else’s academic career) to becoming the leader of one of the largest academic enterprises within the country. He will unabashedly state he is a risk-taker. While easy to proclaim, his track record has demonstrated the courage to follow through on taking these risks. Most of Jefferson’s competitor healthcare institutions are investing hundreds of millions of dollars into building over-sized hospitals or constantly working to adapt to changes in the financial reimbursement system. Dr Klasko is taking a decidedly more unconventional route by being bullish on newer forms of care delivery. He’s building a large telehealth presence, hiring multiple developers of patient care apps, building a separate organization which focuses on Digital Innovations in care delivery, among many other initiatives. Perhaps due to his clinical background, he is among the few leaders to actively embrace technology and see its possible role in making a difference in the care of patients. Healthcare and health technology have been through numerous changes within the last several years and he’s adapted, often successfully, through a lot of them. It’s easier to say that an organization will incorporate an entrepreneurial DNA; it’s much harder to invest money and human-power in doing so. Dr Klasko is doing the latter. Perhaps one of his most recent forward thinking collaborations was a collaboration with IBM Watson. This places Jefferson among a select few healthcare systems in the country to bet big on the impact of AI in medicine while directly examining its possibly large scale impact within patient care. As a radiology resident physician with a deep entrepreneurial background, I have personally gone through the pains of launching digital health platforms directly and indirectly within patient care. It’s a formidable challenge. There are many different moving variables in medicine and this makes it particularly hard to implement innovations in healthcare. Change also seldom comes from the top. Yet, Dr Klasko is at the forefront of leading the organization that is actively implementing this huge initiative. He brings a very unique perspective on the future role of AI in healthcare. I had to hear his thoughts. He was kind enough to oblige. Using Artificial Intelligence based algorithms, financial industries have redefined the way they work. As I explain this to Dr. Klasko, he quickly dismisses this reductive nature in comparison to what we do in healthcare. Where he sees AI making an impact in modern medicine is in addressing the little details of helping the patient. Dr. Klasko works closely with IBM Watson and is spearheading a partnership with IBM Watson Internet of Things to build ‘smart’ patient rooms at Thomas Jefferson University Hospital. Putting this technology centrally within the patient’s room, AI based systems are being utilized to address an important problem in healthcare – lack of efficient communication. In a healthcare environment where clinicians are addressing multiple needs of an ever more diverse patient population, helping bridge the gaps in care delivery is of paramount importance. There are multiple small but incredibly critical problems like these in healthcare. AI can solve these problems, and many more, but we need to make sure finding ways to improve patient care, even if it is by a small amount, is always the end goal. The ability of AI to perform a certain task better than a physician is inevitable, and, it will happen. However, it is our duty, as healthcare providers, to find those little problems – with big consequences – and use this technology in solving these problems for the betterment of our patients. Furthermore, Dr. Klasko believes we can help apply these technologies to shape the future talent pool of physicians. Instead of prioritizing on grades alone, especially that of organic chemistry (a class I think he has a personal vendetta against, not unlike many other physicians) but instead weigh selection criteria on the non-traditional factors of healthcare. As AI based systems get more proficient at diagnosis, management and prevention of medical problems, the future talent of physicians can be selected not just on scores or the ability to regurgitate differentials but on the ability to be better care providers, of being more empathetic and of finding innovative ways to solve the problems that patients face. As I tell Dr. Klasko about the research that I’m doing involving Artificial Intelligence in medical imaging, he stops and asks me point blank ‘Do you believe that AI will replace Radiologists, Pathologists and Surgeons?’ ‘No,’ I say, in a determined voice, trying to hide an undertone of uncertainty. He emphatically agrees ‘No!’ As someone who has delivered more than 2,000 babies, Dr. Klasko says he knows the challenge that it takes to go and tell a mother of potential complications her newborn might have. Even though there may be an intelligent robot to deliver babies in the future, perhaps better than any other obstetrician in the past, the communication and relationship a physician and their patient have, can never be replaced. As a radiology resident physician, this brings a level of clarity to my concerns about the future of professions like mine. Whether we translate emergent findings of acute traumatic pathology or we parse through complex oncological imaging findings during multidisciplinary tumor board, our role in patient care, while more indirect, is quite important. Being the medical imaging expert in the room, our role as the ‘doctor’s doctor’ helps quarterback pivotal decisions within patient care. Delivering that human touch, even if it is being the colleague that a fellow medical professional needs to help guide therapy, is an utility that even non-patient facing physicians provide. Being that expert that people rely on, isn’t a role that AI can replace from physicians. Yes, AI can augment human skill sets – make physicians better, faster, smarter – but working together as a team, looking at multiple different factors in patient care and putting it in the context of what the patient is going through, is a skill that is uniquely human. Dr. Klasko remains committed to the implementation of AI in healthcare, building strategic partnerships, launching innovative programs and improving patient care, with a keen eye for the future. In doing so he has demonstrated within himself the same concept of human ingenuity, creativity and grit, that he hopes to bring out from others, and this is something AI can never replace.